This is a general introduction to Animal Welfare Society and what we do as South Florida's only low-cost, full-service veterinary hospital. AWS provides emergency and routine care for various rescue group animals. Here is "Dutchess" a lucky-to-be alive pup hospitalized with severe infections and skin disease. She is on her way to recovery! Fortunate to have Channel 10 report on a paralyzed pup who was able to recover through our care and treatment, especially with our laser therapy. Kittens left in a box at our door in emaciated condition were nursed back to health by our staff and eventually placed in loving homes. Our dedicated and hard working day staff. They are our unsung heroes and we couldn't help all our patients without them. The first Sunday of every month, Animal Welfare administers, at no charge, either DHPPC vaccines for puppies and dogs or FERCP vaccines for kittens and cats. Animal Welfare understands that unexpected veterinary care can be stressful both emotionally and financially. Our 'Flash Fund' was established to provide (free) compassionate care to qualified low-income clients experiencing financial need for their pet's veterinary treatment. Animal Welfare Society is able to offer free spay or neuter surgery for cats and dogs to qualifying low-income clients or those receiving government assistance. 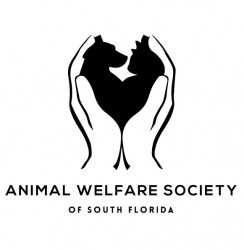 Learn more about Animal Welfare Society of South Florida Inc.